Had Barney Ebsworth not been a successful travel entrepreneur, he would have been a curator. He had an eye for quality, devilishly sharp research skills and a yearn to acquire second to none. At last night's sale (13 November) of his best American Modernist works at Christie's in New York, the marketplace did not exactly blow the late collector a big, wet kiss. Rather, buyers spent with the clear-eyed prudence Ebsworth often showed in his own purchases. The sale totalled $281.5m ($317.8m including fees), perfectly in the middle of the auction house’s pre-sale estimate of $258.3m-$360m. Unlike the tepid Impressionist and Modern sales earlier in the week, where top lots remained unsold, the evening Ebsworth sale sold a healthy 88% by lot and 99% by value. Of the 42 lots, seven were backed by third-party guarantees while the remaining 34 were backed by house guarantees. The saleroom was crowded and lively, and the evening started off with quick but modest bidding on the first handful of lots including Georgia O’Keeffe’s Beauford Delaney portrait on paper that fetched its high estimate of $300,000 ($372,500 with fees) and Arshile Gorky’s Good Afternoon, Mrs. Lincoln, which realised $12.2m ($14m with fees), surpassing its $9m high estimate and marking a world auction record for the artist—just one of 15 set throughout the course of the evening. 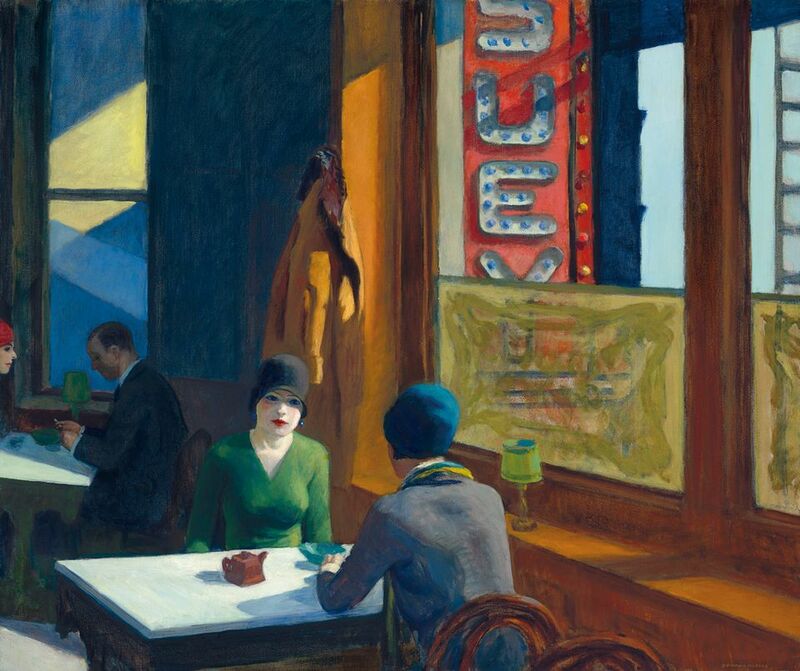 The star lot of course was Edward Hopper's Chop Suey, which went for $85m ($91.8m with fees), smack in the middle of its $70m-$100m estimate. To be sure, the work warranted a punchy price tag—it is peak Hopper, figuring in all the best shows of the iconic American artist’s work and said to be one of the finest examples of his work left in private hands. The sale shattered the previous auction record for the artist's East Wind Over Weehawken, which sold at Christie's in 2013 for $40.5m. Works by Alexander Calder, Leon Polk Smith and David Smith sold at handsome prices, but much of the sale clung to the low estimates. 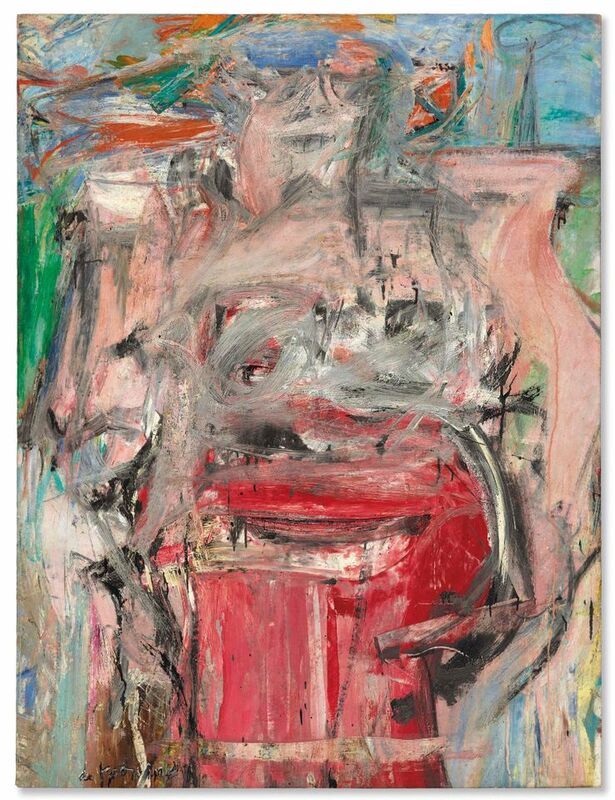 While Willem de Kooning's lush Woman as Landscape might illustrate the artist's adage that "flesh was the reason oil paint was invented”, when the auctioneer, Jussi Pylkkanen, opened bidding at $50m on the third-party backed painting, paddles were slow to raise. At $61m ($68.9m with fees), it barely breached the low estimate on a $60m-$80m range. Composition with Red Strokes, a 1950 Jackson Pollock, more dense than aerodynamic, just missed its low mark, however, hammering for $49m ($55.4m with fees) on an estimate of $50m-$70m. One of Joseph Stella's most ebullient and iconic pictures, Tree of Life, went for $5m ($5.9m with fees) on an estimate of $6m-$8m and Franz Kline's Painting, a recognisable but not distinguished picture, limped away for $3.7m ($4.5m) on a $5m-$7m estimate. There were a couple bidding wars throughout the evening, some in surprising places. Two phone bidders stuck it out for a lesser known but lovely seascape, My-Hell Raising Sea by John Marin from 1941, selling for $1.35m ($1.5m with fees) on an estimate of $250-350,000. Marin's wild, late seascapes have been undervalued but perhaps no more. Ellsworth Kelly's Red White has an elusive but powerful presence—it deserved a fight and got one, selling for $2.4m ($2.8m with fees) on an estimate of $700,000-$900,000. Suzy Frelinghuysen’s work is both strong and rare and her Composition deservedly did well hammering at $450,000 ($552,500), more than doubling its high estimate of $180,000. And Ebsworth's very first American Modernist purchase, Cafe Lafayette by William Glackens, rocketed past its $250-350,000 estimate to sell for $725,000 ($792,500 with fees). It is not a bad picture but an utterly derivative one proving that in terms of taste and acumen, Ebsworth started at one point and climbed ever higher.